I'm aware of several resources for searching the national or regional (e.g. EU) patent databases, but have found no tool for searching patents in all (or even several) countries at the same time. Is there a free resource for searching patents globally? The Lens, started as Patent Lens 15 years ago, is open, free, no advertising (secure) and a public service. It searches in over 90+ jurisdictions and hosts 100M patent records. It is not just federated search, but comprehensive links, analysis, embedding and sharing of records, collections and annotations. It is run by a global social enterprise, Cambia and a publicly funded University, Queensland University of Technology (QUT). It also has uniquely over 15M non-patent literature citations linked to canonical sources, to seek and explore prior and enabling art. WIPO has a patent search interface that covers PCT applications and many national databases, including Europe, Japan, Korea, Russia, many Latin American countries, and more. I think all currently-applicable patents in these countries are covered, and there is additional historical data for some countries, but some of them only index metadata and abstracts, only a few provide full-text search. EPO has a patent search interface, Espacenet which includes a search engine for European and PCT patents and applications as well as links to other countries' databases (especially Asian countries). Try IP.com this is exactly what they do. There is no free global patent search system. There has been tremendous amounts of normalization of intellectual property law around the world through the World Intellectual Property Organization, but as of today there is no free service, governmental or otherwise, that can search the multitude of patent databases around the world. The biggest free patent information database is Espacenet like mentioned already. Bu there are many free databases. Depends what kind of information do you need. On of the best resources about patent information databases and search tools is Intellogist and their patent coverage map http://intellogist.com/wiki/Patent_Coverage_Map Select the country and you will see the list of databases. Or you can browse the databases by technology fields http://intellogist.com/wiki/Resource:Resource_Finder Quite interesting search tool is http://www.priorsmart.com/ which is linked directly to several other databases. DEPATISnet is the best option. It is a completely free database and belongs to German Patent Office. I have worked on the database for over three years and found that the result quality is as competitive as an expensive paid database like Thomson Innovation. Databases like Espacenet , Google Patents , etc. do not have proximity operators like "Word A and Word B separated by a maximum of three words in between". ii. the later methos do not give you any intelligent results but rather throw a cumbersome number of results which are very time consuming to screen and hence have poor efficiency. 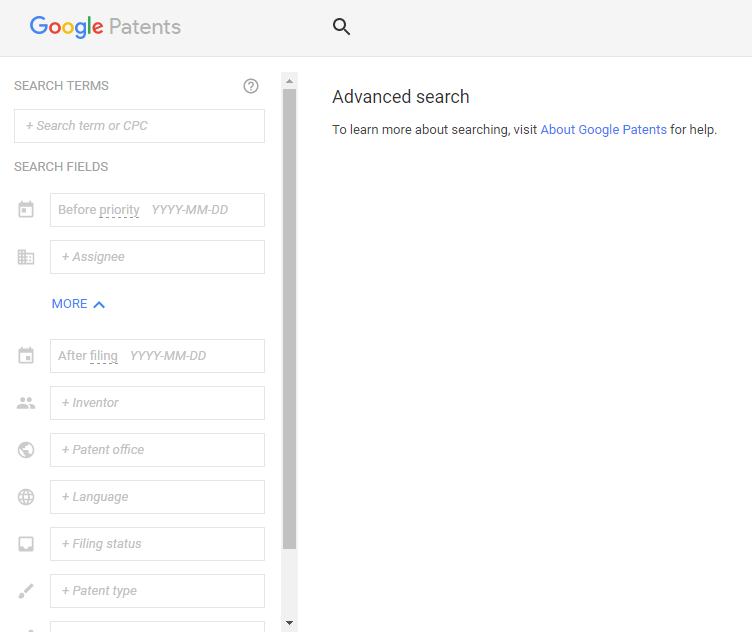 You can use Google Patent Search to conduct free patent searches. It contains more than 87 million patents from 17 patent offices. 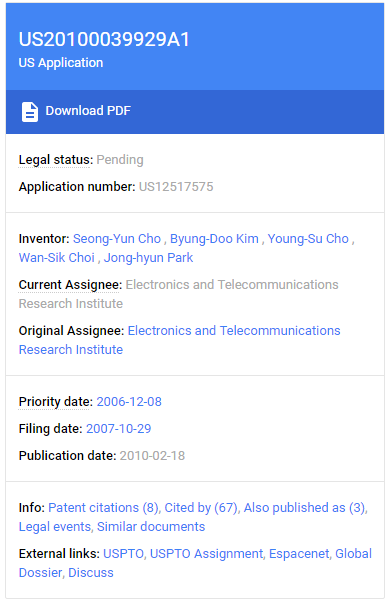 Added to that, its sleek UI and some functionalities that help you find a prior art in non-patent literature makes it a go to source to conduct a free patent search. Type patents.google.com in the address bar of your browser and you are all set to search. 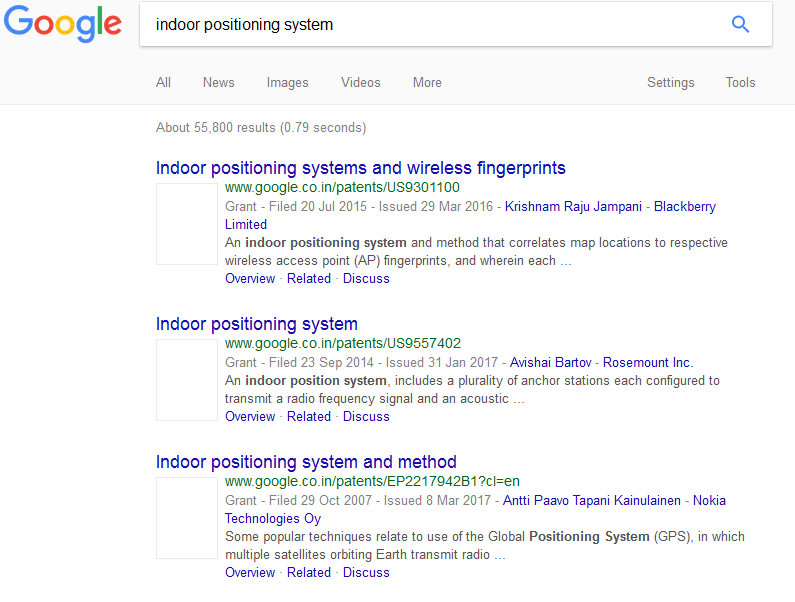 Now you should know that we can divide Google Patent Search into two categories: Simple Search and Advanced Search. If you click on the result, you’ll get all this information tabulated on the RHS of the UI. Then why did I bother mentioning all this? It’s because opening all the results to get this info is not a good idea. You must get key info there and then on the search results. Also, you can utilize the below Boolean search operators to get a desire result by running an advanced key string in the search box. 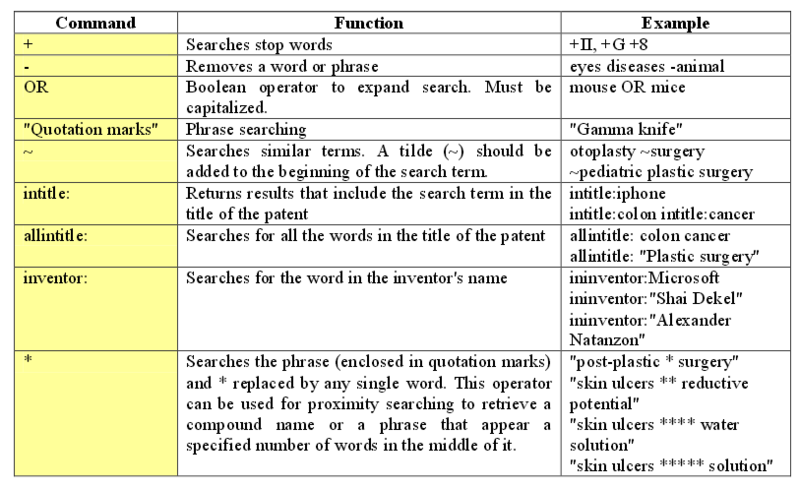 Also I advise you to go through this article that explains how to use different functionalities and operators of this tool with examples: 7 Tricks to make most out of Google Patent Search - GreyB . This will for sure be of a help to you. Type patents.google.com/advanced in the address bar for Google Advanced Patent search which, to some extent, is equivalent to Boolean operators used in the simple search. If you look at the below screenshot, you will find that you can search patents by setting multiple criteria like patent title, inventor name, keyword or by applying date restrictions, etc. One advice I would like to give you is that you shouldn’t be banking too much on Google patent search if you are an entrepreneur who is running a patent search on his own. Google patent search has some serious limitations. Its database gets update pretty late and there are going to be patents – applications as well as granted – existing and you won’t be able to find them. This has happened a lot with me. You can consider using Freepatentsonline.com also. Patentscope Patentscope is offered by the World Intellectual Property Organization. Like Espacenet this is another free patent database that provides you an access to 65+ million patent documents from patent office across the world. Paste this link to access Patentscope: https://patentscope.wipo.int/search/en/search.jsf. Go through this user manual by WIPO to learn how to use the tool: https://patentscope.wipo.int/search/en/help/users_guide_summer2017.pdf . Further, the link I provided above for Espacenet, that also can help you have an understanding of various features of Patentscope by WIPO. Hope this information will be of a help to you. In case you need any help, don’t hesitate to send a PM. Not the answer you're looking for? Browse other questions tagged search databases international or ask your own question.